This afternoon my husband found a tortoise in the garden. I had never seen a tortoise like this before. I could only guess that it was an exotic species someone had bought as a pet. I had only heard of people keeping the Mediterranean type of tortoise that will breed in captivity here and it certainly was not one of those. For a start it was much more vigorous and active than your average tortoise. In addition, we could think of no-one nearby who would keep and exotic tortoise. I felt that if I could identify it that it might be useful, as I was concerned that someone might be missing their pet. Perhaps I could put an advertisement in the local pet shop? I started searching on Google but I did not get very far so I decided to email my granddaughter, Daisy as she is into reptiles, amongst most other animals. 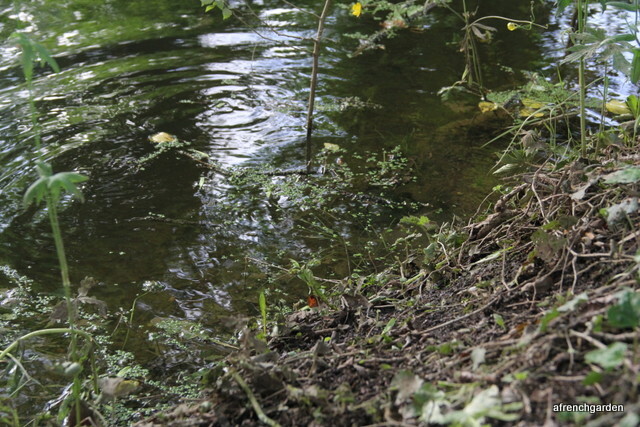 She replied immediately that it was a European pond turtle. 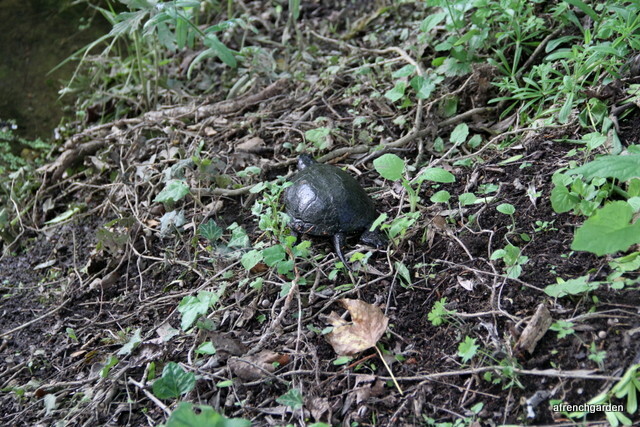 Disappointed, I replied that it could not be a turtle as it had feet with claws just like a tortoise. However, I did do an internet search and, of course, I had to send her my apologies. 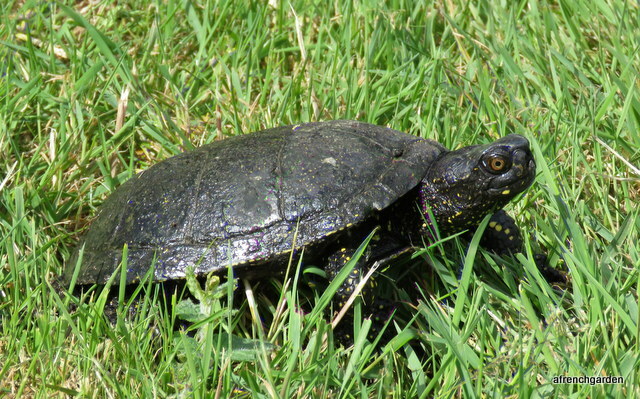 Emys orbicularis is the European pond turtle, cistude, tortue boueuse or tortue des marais in French. European pond turtles do have clawed feet! However, I have yet to meet anyone around here who has seen one or heard of them. I was unaware of their existence. Actually, it is not so surprising as they are very rare in the area and like most wildlife, getting rarer. 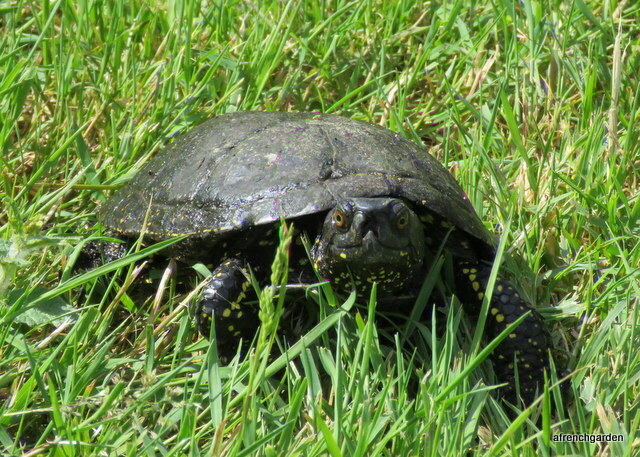 They live in marshy areas, ponds or slow moving water channels. 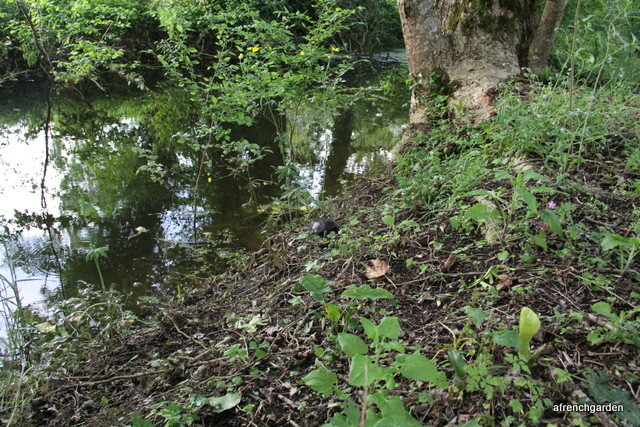 There are populations in the Charente Maritime but I can imagine that they would be very difficult to see on the banks of a river or in in wetlands. The heavy rain we have experienced of late had perhaps swept it from the known colonies although the Seudre, which runs at the bottom of the garden, is known to possess them. The poor beast was only enjoying a sunbath in the back garden border when it was pounced on. Once we had realised what it was and that far from being a lost pet, that it is a protected species, we decided to put it back in the river. He (from the length of his tail and his concave underside, I deduced it was a male) did not seem in a rush to get into the water and we had to point him in the right direction as we did not want him to find his way onto the road. But as soon as he saw the river he took to it like a turtle to water! 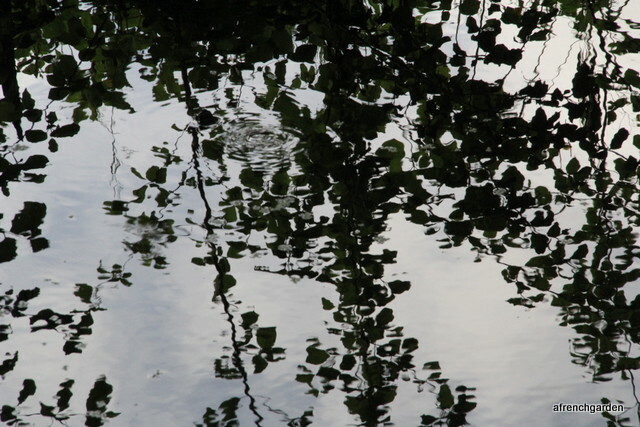 His head did break the surface again to look back, then disappeared under again leaving only the ripples. I wonder if he liked the garden? Will he come back? Will I spend a long time staring into the river instead of getting on with the gardening? 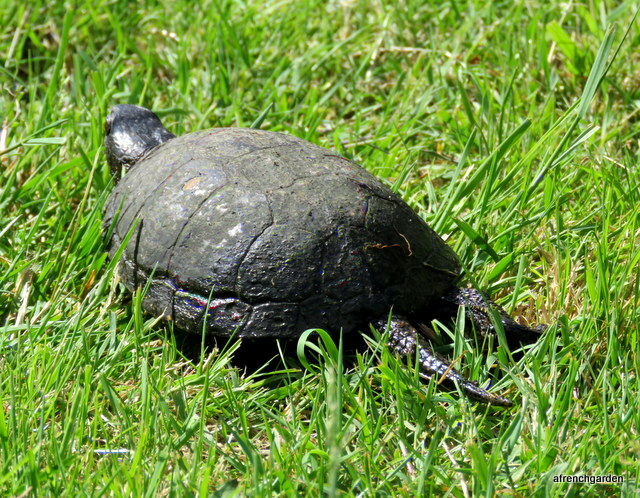 Categories: Nature | Tags: Emys orbicularis, European pond turtle, nature, reptiles | Permalink.